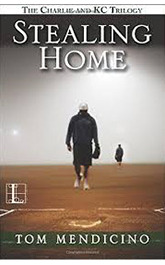 His latest novel, Stealing Home , is a coming-of-age novel, a trilogy about an unlikely romance consisting of KC, at Bat , Travelin' Man and Lonesome Town , also available separately as e-novellas. 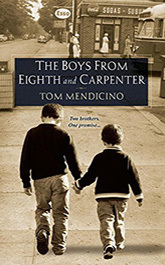 Michael and Frankie are raised in a roughhewn working class neighborhood by their old-school and sometimes cruel Italian father. The two brothers grow into vastly different men—Michael, a traditional family man and Frankie, an out gay man who runs a successful beauty salon—yet their bond remains strong. 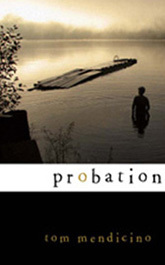 When life takes Frankie down a dangerous path, Michael is there to help pick up the pieces. Charlie Beresford is spending his last summer before college in a boring job hauling furniture. But then Kevin Conroy, the star baseball player, joins the moving team and the two spark up a fast and then complicated relationship. 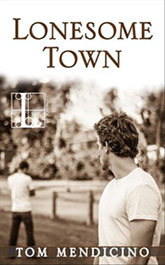 The summer changes Charlie and he learns about hearts – losing your own and breaking someone else’s. After making some bad decisions at a gay bar in Spokane, WA, KC—Kevin Conroy—gives up on his minor league baseball career and hitchhikes to Seattle. Once there, he realizes he has no idea who he is without baseball. 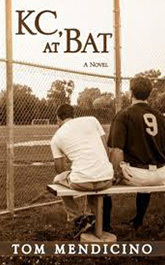 He ends up in Eugene, Oregon with a new, unlikely group of friends, a new purpose, and a new conviction to play ball, whatever the outcome may be. Charlie Beresford and KC Conroy have changed since the last time they saw each other the summer after their senior year of high school. Charlie is a Dartmouth grad with an entry-level radio job and KC is back on track with his baseball career. KC is wary of Charlie, who so callously broke his heart that summer, but Charlie finally realizes what, in this new life, is worth fighting for. Andy Nocera is on probation after risking his marriage and reputation for a random sexual encounter in a public restroom on Interstate 85. 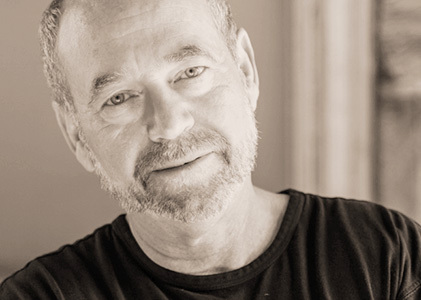 Despite enjoying his court-mandated therapy with a doctor/Jesuit priest, Andy has a hard time coping with his new life, which includes an estranged wife and dying mother. Despite his own depression and battle scars, he finds that helping someone else is the key to his own healing. 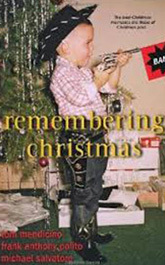 In this anthology, Tom contributes Away, in a Manger, about James, a reminiscing road tripper driving from New York City to his West Virginia hometown for Christmas.